Perhaps you’d expect that BTO consists of Messrs Bachman, Turner and Overdrive, but that clearly puts us on the wrong track. The boogie rock band from Winnipeg, Manitoba, saw Randy Bachman and Fred Turner as its leaders. 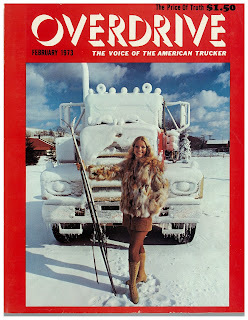 Overdrive was the title of a truckers’ magazine that was lying around somewhere while the band was on tour. They found overdrive (in the highest gear) very suitable because they were changing up from country rock into hard rock. We all know where that has led to: You Ain’t Seen Nothing Yet, which, as far as stuttering rock song intro’s go, is the Canadian counterpart of My Generation by The Who from England.